My computer has been down since Tuesday . Thankfully, Puck was there to investigate the problem. Unfortunately he couldn’t fix it. I think the only fix is to wipe the hard drive and start fresh but I hesitate to do that because I haven’t backed it up in over a month. For now I am using my laptop but my photos and graphics software are on the desktop computer. Maybe I can get Chris to look at it. 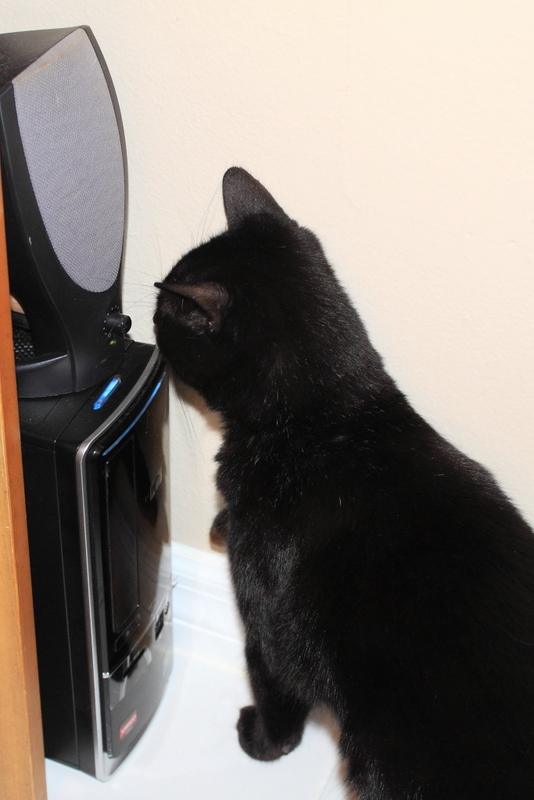 This entry was posted in Uncategorized and tagged cat, computer, Puck on November 27, 2014 by Charles Huss. 🙂 You may have noticed but I set the wrong date and published this too early. Thank you. Pay no attention to the “Friday” part. My bad. Uh-oh! 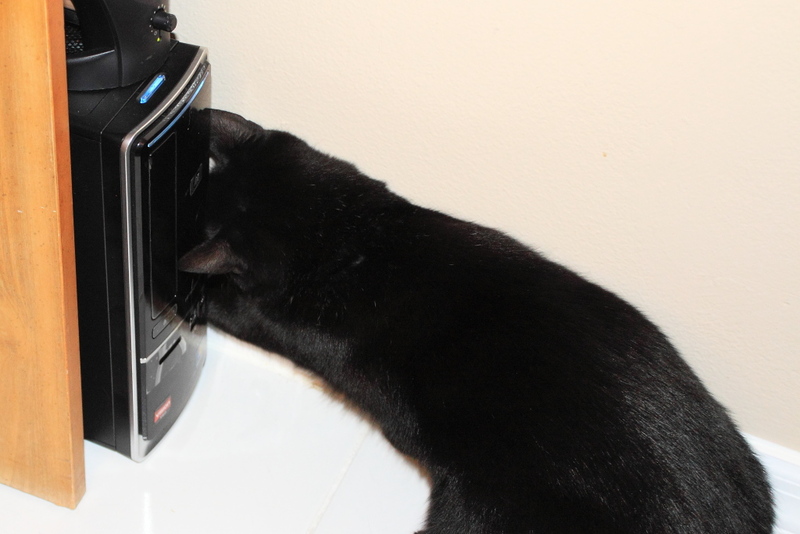 Even I think you should get a human expert to look into getting your data backed up, and not leave it to a kitty!